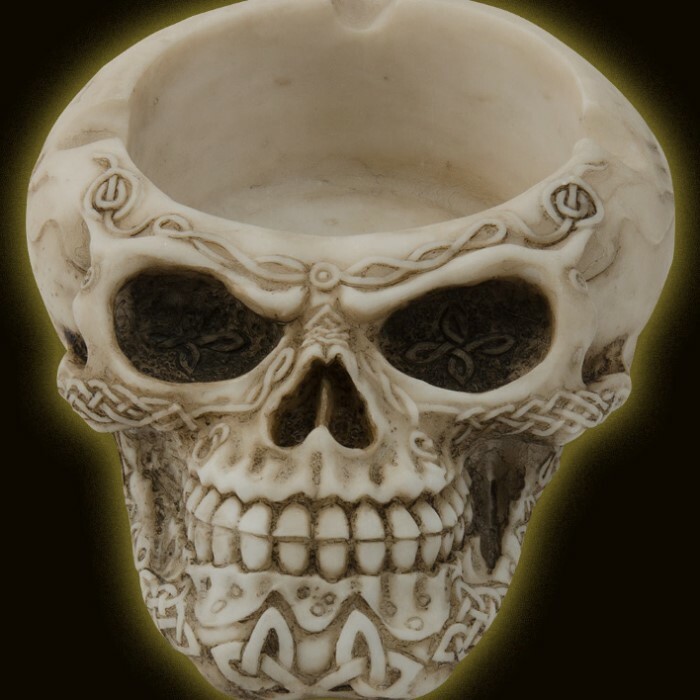 Fantasy Decor Skull Head Ashtray | BUDK.com - Knives & Swords At The Lowest Prices! Forget that boring old ashtray! 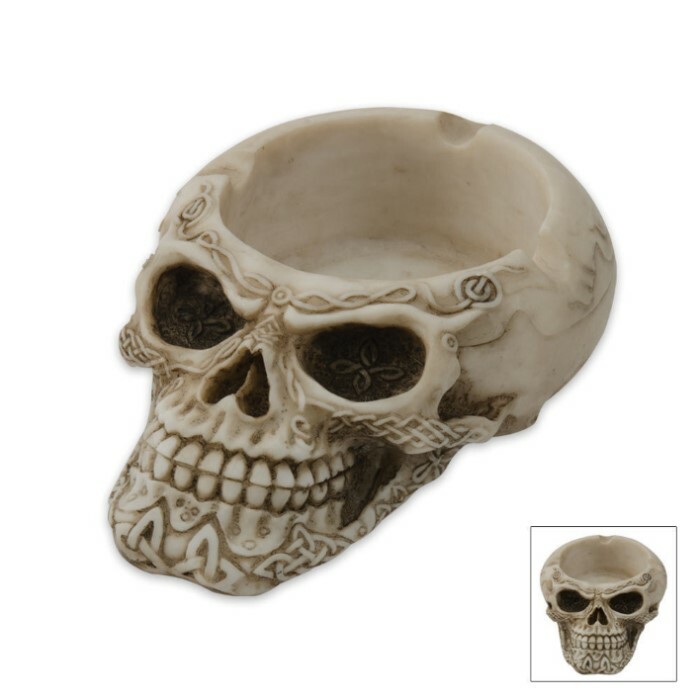 You need this skeleton head ashtray to enhance the decor of your home! This resin ashtray features notches on the side to hold your cigarettes in between smokes.